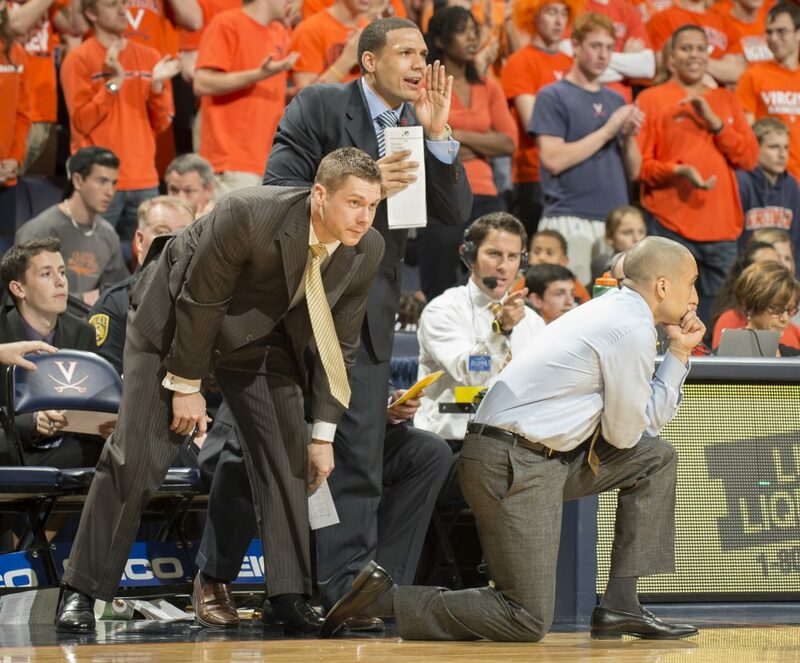 The season after the 2011 Final Four run, then-Rams coach Shaka Smart sent his assistant coaches — Mike Rhoades, Will Wade, Jamion Christian and Mike Morrell — to a workshop, and the speaker wasn’t optimistic about the future of their coaching careers. “The guy told us at the time, ‘you know there’s probably only going to be one of you guys that goes on to become head coaches just because that’s what the numbers say,’” Morrell said. He was wrong — all four of the coaches in the room are currently Division I head coaches. Smart coached the Rams for six seasons, and of the seven assistant coaches that served under him, six are at the helm of their current programs. Rhoades, the current Rams coach, spent five years as an assistant under Smart from 2009-2014. The Mahanoy City, Pennsylvania, native led the Rams to tie the school record in overall regular season wins (26) and conference wins (16). The new HAVOC defense led VCU to win the regular season title for the first time in program history. This season, Rhoades referred to the team as a “family,” something he drew from Smart. Before returning to Broad Street, Rhoades was the head coach at Rice for three seasons. 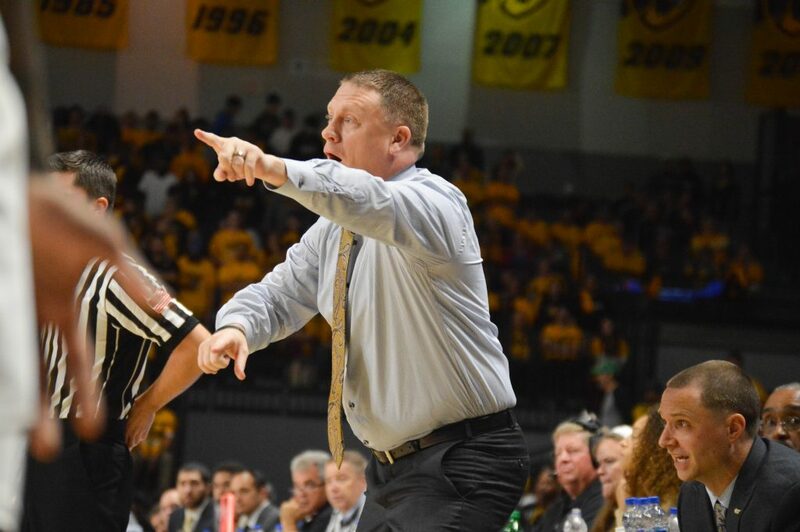 In his second season at VCU, Rhoades led the Rams to their first outright A-10 regular season title after beating George Mason March 5. In that contest, HAVOC held the Patriots to only 36 points — a new program record for points allowed. Rhoades guided the Rams to the NCAA tournament this season, gaining an at-large bid and No. 8 seed. The Rams finished the regular season boasting the No. 5 defense in the country, according to KenPom. 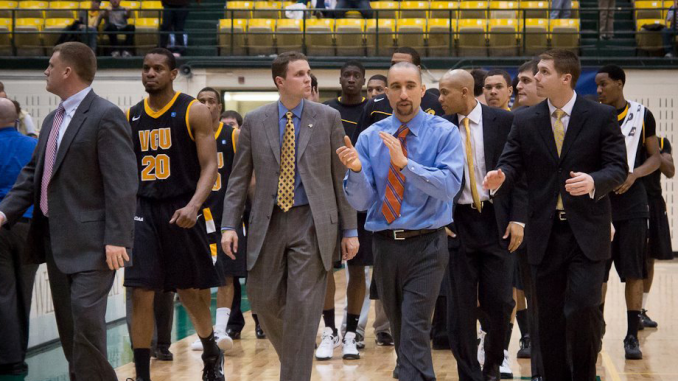 Christian was part of the Rams coaching staff during the 2011-2012 season and is now the current head coach at Siena. The Quinton, Virginia, native arrived to Broad Street the year after the miraculous Final Four run in Houston and knew the expectations ahead of the team. Christian left VCU the following year for a head coach position at Mount St. Mary’s after helping coach the Rams to a school-record 29 wins. To Smart, there was a big difference. “He said, ‘You’re going to be a head coach someday, but you want to be a successful head coach and be ready for the opportunity,’” Christian said. Christian went on to lead Mount St. Mary’s to the NCAA First Four in his second season at the helm of the program. He returned to the Big Dance in the 2016-2017 season, falling to Villanova in the first round. Siena was voted to finish last in the Metro Atlantic Athletic Conference preseason poll, but Christian led the Saints to a tied-for-second-place regular season finish with a record of 17-16. The team fell to Iona in the conference tournament March 11. Under the direction of Christian, the Saints made a nine-win improvement from a year ago. Ballard coached on Smart’s staff from 2012-2015 before a year with Rhoades in the 2017-2018 season. Upon leaving Broad Street last year, Ballard traveled south to coach at FIU. The Atlanta native brought a similar defensive philosophy to FIU. FIU led Conference USA in steals and forced turnovers this season, averaging 10.6 and 19.7, respectively. Smart helped Ballard learn to get in the head coach’s mindset when he was an assistant. Smart not only encouraged Ballard to think like a head coach, but he also showed Ballard firsthand the decision-making process head coaches go through. In his first season at the helm of FIU, Ballard led the Panthers to their best regular record since 1997-1998 and only their second winning season in the last 20. The 10 Conference USA wins are the most that any FIU team has won in conference play. Ballard’s coaching staff at FIU is littered with four former VCU assistants: David Cason, Joey Rodriguez, Jesse Bopp and Zavier Anderson. Ballard said VCU and Richmond were a “perfect marriage” for college basketball, starting with the Athletics administration. The first year head coach is a finalist for the Joe B. Hall National Coach of the Year, an award for the nation’s top first-year head coach. Ballard and the Panthers will play in the Collegeinsider.com tournament against Texas State March 23 at 7 p.m.
Morrell was a part of the Rams’ coaching staff from 2011-2015 before following Smart to Texas after the 2015 season. He’s currently the coach at UNC-Asheville. The Elizabethton, Tennessee, native has known Smart since he was a graduate assistant at Clemson when Smart was an assistant for the Tigers. Morrell is in his first season as a head coach at UNC-Asheville after spending the last three seasons at Texas with Smart. UNC-Asheville finished the season 4-27 with the “youngest team in America,” Morrell said, referencing the players’ experience. Of eight freshmen on the team, Morrell starts four of them. He said the Bulldogs improve with each game. 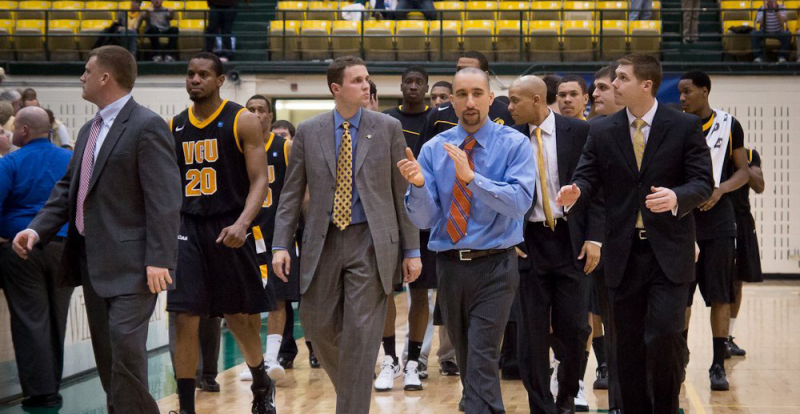 Jones is the current head coach at Radford and was an assistant at VCU from 2009-2011 before being named the Highlanders’ coach after the Final Four. The Howard alum said Smart was “selfless” and cares about his assistant coaches — but he was also willing to lose them to help them. Some coaches, Jones said, don’t help with finding new jobs for assistants they like and trust and, therefore, don’t want to lose. Jones has found success at Radford as the Highlanders won their First Four game to advance to the First Round in the 2018 NCAA tournament. But the team later fell to Villanova. This season, Radford placed second in the Big South Conference tournament, falling 76-65 to Gardner-Webb March 10. The Highlanders closed the season with a 22-11 record. Wade is in his second year at LSU and led the Tigers to a 22-5 regular season record. His squad enters the NCAA tournament ranked No. 12 in the Associated Press Poll, as well as a No. 3 seed in the NCAA tournament. The Tigers will face Yale in Jacksonville, Florida, during the First Round of the NCAA tournament. Wade was an assistant at VCU from 2009-2013 under Smart, then becoming a head coach at Chattanooga for two seasons. Wade made his return to Broad Street in 2015 as head coach of the Rams, but left for Louisiana in 2017. Wade could not be reached for an interview. The Nashville, Tennessee, native is currently suspended indefinitely by LSU after being caught on an FBI wiretap.